How are you doing? I hope you had a warmer weekend than us in North East of USA. I wanted to buy this Smashbox Master Class Palette: Lighting Theory back in December but I was not sure it was worth to spend $65 on it but when I saw it on sale for $45, I decided to give it a try. Since I want to share with you the review of this Smashbox Master Class Palette: Lighting Theory later on the blog, I will not talk too much about it here, only thing I can say is that overall, this Smashbox Master Class Palette: Lighting Theory was worth buying. I've used and loved Dior nail products for years, so no matter how many other brands I give a try, I always go back to Dior. I got this Dior nail polish in gorgeous Pandore shade (754) and not only I like the color, but also, application process (that's super easy with the wide brush) and gorgeous finish. And finally, Donna Karan Cashmere Mist deodorant. This is the only product I use from this brand. It works great, has pleasant smell and doesn't irritate my skin, the only thing I'm not really crazy about is that it is white and it may leave white residue on black clothes. Other than that, it's perfect. Have you tried any of these products? Let me know in the comments below and have a fabulous day. Love this! It looks fun and the colors are so gorgeous I'm excited to use it. That palette looks amazing! The nail polish is such a classic shade. Need to try both of these. Thanks for sharing! the smashbox palette looks really beautiful! The Smashbox palette looks beautiful, Nina! Please do an in-depth review on it? I love that nail polish color! Thanks for the reviews! I envy you so much, I went to sephora yesterday and almost cried because I couldn't afford anything! Loving that palette! Love that nail color and the palette looks beautiful too! I haven't tried any of these! I do love anything Smashbox and I love the color of that polish! 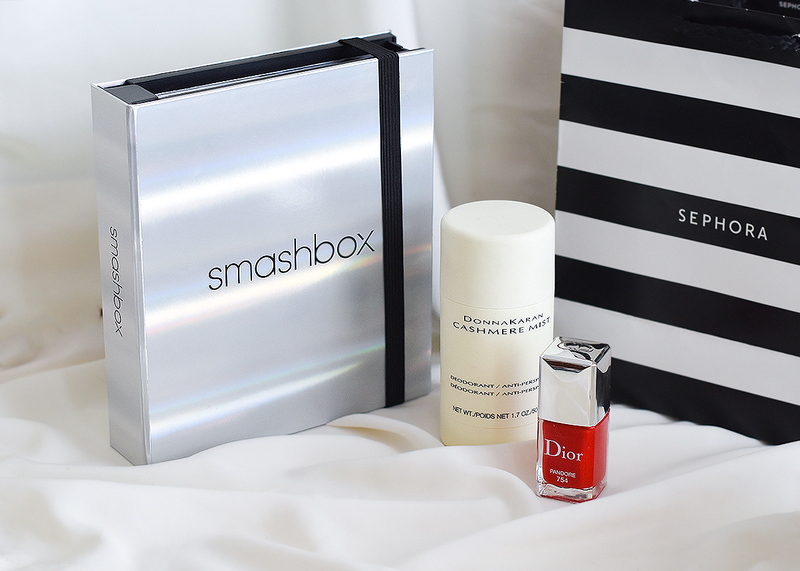 I loooove all things Smashbox, good choice! Great products! I love Smashbox and that palette look so worth the price. Loved the Smashbox palette, will wait for the review! And you will love Dior nail polish even more, because, for me, that is the only nail polish that really doesn't chip! There are other polishes that are good, but this one is excellent! Hope you have a very beautiful week! The palette looks amazing! I've never tried Dior polish before but I love the colour of polish you chose! I just love this smashbox palette! thanks for sharing! 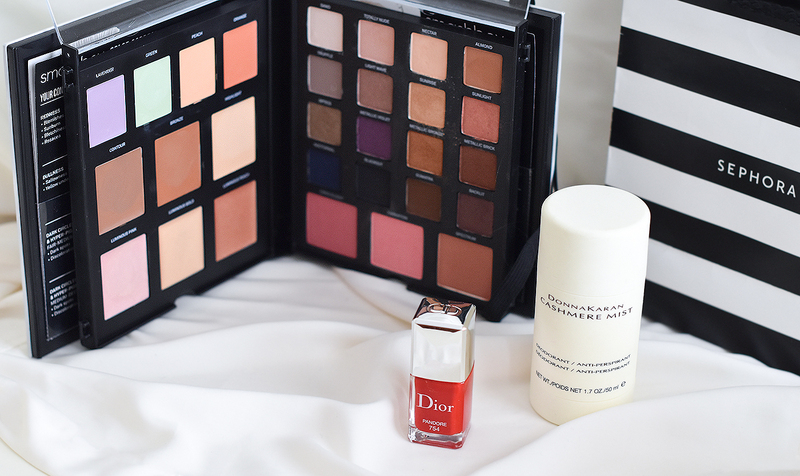 I haven't tried any of these yet but that red nail polish from Dior is definitely a must have! Thank you for sharing darling! Wow, I'm loving the look of that Smashbox palette! I love all it includes and how easy it appears to store away. Thanks for sharing and I hope you have a great day, girlie! The Smashbox palette looks amazing! I agree though, much better to wait to it's in the sale! Dior is hard to beat!